Rich Gallagher was a regular contributor to the blog for five years. You may remember his content as being smart, tactical, and funny. 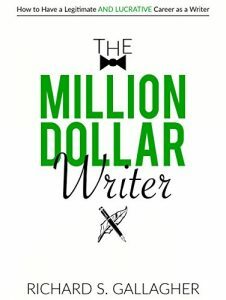 I am thrilled to share his new book, The Million Dollar Writer: How to Have a Legitimate – and Lucrative – Career as a Writer, which is just $.99 for Amazon Kindle this week. 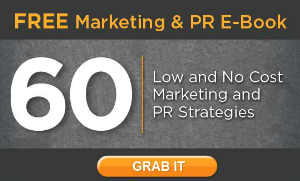 If you are serious about writing for money, this is the real deal. I actually have sold over $1M worth of books AND done well over $1M of freelance writing and ghostwriting, and have made a secure upper-middle-class living from writing for as long as I can remember. This book spells out exactly how I did it, and how YOU can too. For a buck, today! Seriously, go pick this book up right now. And please share this with a friend who would love to write for living, but thinks they won’t be able to pay their bills.